GAINESVILLE, Fla. – Chest pounding and legs about to give out, crossing the finish line of the New York City Marathon was the best feeling of her life, said Alexa Trout, a public relations major and communications studies minor. If it weren’t for the flexibility of the PaCE program, Trout said she never would have been able to reach one of her greatest accomplishments. Trout stayed in her hometown of Wesley Chapel her freshman year to complete online coursework. Because her course schedule was up to her and she had the freedom to control her time, Trout also began training for a marathon. During Trout’s first semester in PaCE, her day began with a run at 4:30 a.m. By 6 a.m., she’d be back home for breakfast, a shower and a quick nap. The rest of her day was spent working on classwork for her 18 credits. She was in bed by 8 p.m.
Trout compared finishing the marathon to her experience graduating from UF in three years. Besides allowing Trout the chance to train for a marathon, the flexibility of the online course format also gave her the time to pursue an internship with The JOY FM, a contemporary Christian radio station, where Trout did some voice tracking on air. After graduation, Trout plans to continue voicing for The JOY FM’s morning show. 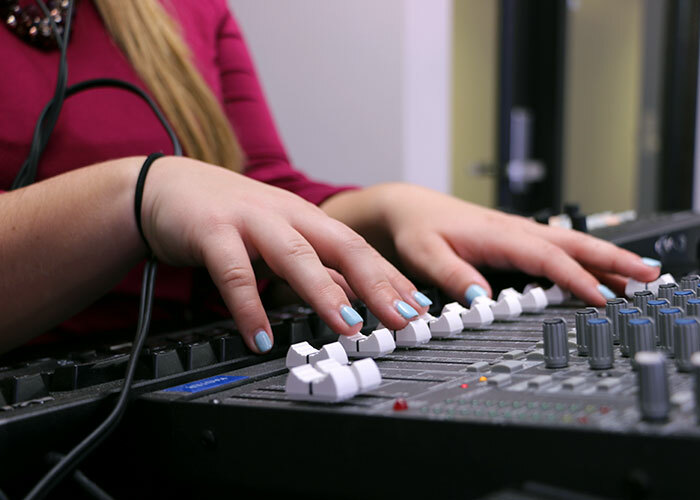 She hopes to combine her public relations skills and passion for radio to work in the radio industry. 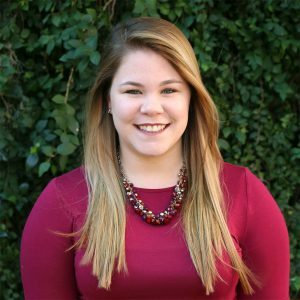 Alexa Trout, public relations major, hopes to begin a career in the radio industry after graduation.